The Capital Cities of South America! From charming colonial old towns such as Quito to bustling modern metropolises like Santiago or Brasilia, there’s a capital city for everyone in South America! 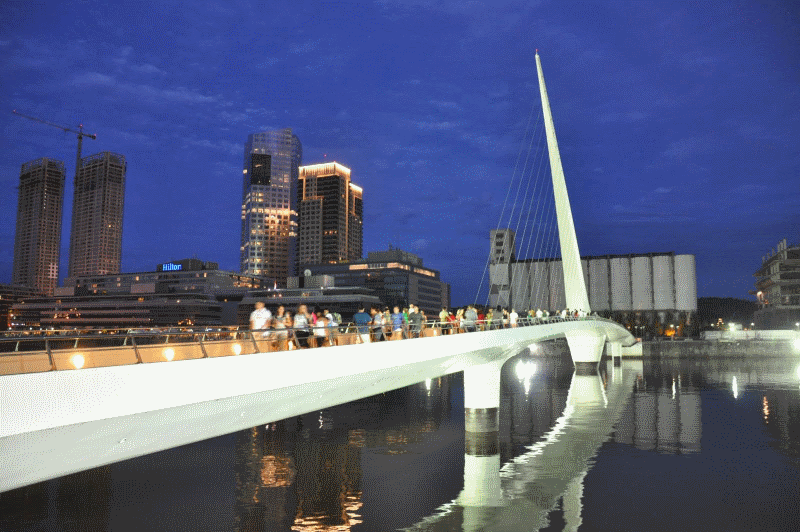 Let’s start with what is arguably the greatest of all the capital cities of South America, Buenos Aires! It’s a huge place, with a population of nearly 20 million – nearly half of the population of Argentina – and its edgy mix of European and Latin styles could explain why so many travellers fall in love with it. There’s so much to see and do that you really need to spend at least a few days here to soak up the best of Argentina’s culture and eat as many steaks as you can! A good place to start exploring is the historic centre and the Plaza de Mayo, where you will find the City Hall, Cathedral, and Presidential Palace of Casa Rosada and the balcony famously used by Eva Peron to address her supporters. Just north of the centre is the Recoleta cemetery where she is buried, which backs onto the lovely Plaza Francia Park and the National Museum of Fine Art. Further south you will find the upmarket district of Palermo, renowned for its top end restaurants and nightlife, and home to the Zoo and Botanical Gardens. After all that sightseeing you will be in need of a good dinner, and with some of the best restaurants in the world you’ll be spoilt for choice! Of course it would be rude not to try a few of the best Parilla steak houses in Argentina while you’re here, but don’t miss out on the fantastic international cuisine on offer too, from Italian to Thai. And why not walk off a heavy meal along the cobbled streets of San Telmo, where you’re sure to see street performers dancing the passionate Argentine tango. Hotel Pick – The Hotel Pulitzer offers both contemporary design and a central location, making it the perfect base from which to explore the city. 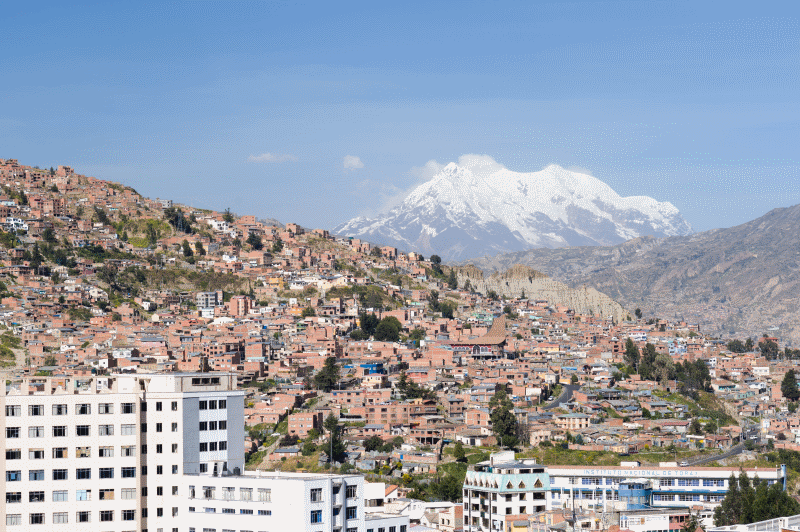 La Paz is the highest of all the capital cities of South America. In fact it’s the highest capital city in the world, with an altitude ranging from 3100 to over 4100 metres above sea level! Established in the dried up canyon of a river in the 16th Century and surrounded by the Andes, it’s a city of contrasts, much like Bolivia itself. The impoverished urban sprawl of El Alto sits teetering at the top of the canyon, while the more affluent areas, like Zona Sur, are located at lower elevation where the climate is considerably warmer. The best way to see La Paz is from the air, so if you’re not flying in we recommend taking the Mi Teleferico cable cars across the city, to really get a feel for the sheer size of the canyon and for fabulous views of the Altiplano. For more stunning views (if you are brave enough!) why not journey down the famous ‘Death Road’ to Coroico on the edge of the Amazon Rainforest. This 40 mile road is mostly one lane wide, has no guard rails to protect you from the 600 metre cliffs, and has been named the ‘world’s most dangerous road’… not one for the faint hearted! If you prefer a gentler introduction to Bolivia, then the museums on the beautiful colonial street of Calle Juan are worth a visit, with a variety of exhibits including art, war relics and ancient artefacts. Just a short journey from the city is the ancient pre-Colombian site of Tiwanaku. These ruins are part of an empire which pre-dates the Incas and Machu Picchu, and makes for an interesting day trip. Or if you have a free afternoon you could wander round the bizarre Witches Market; the perfect place to pick up that llama foetus you’ve been after! Hotel Pick – The La Casona Hotel is located in the historic centre in a 17th century colonial building, with parquet flooring, vaulted ceilings and a lovely rooftop terrace. Founded in 1960, and built in just 4 years to act as the new capital, Brasilia is a surprisingly young city with a futuristic feel. Designed by architect Oscar Niemeyer, it is now a UNESCO World Heritage Site due to its contemporary buildings and unique structure. The city is very symmetrical, numbered by block and then divided into sectors, with the centre taking the shape of an aeroplane when seen from the sky. An exploration of the city should begin at the aeroplane’s fuselage, or Eixo Monumental, in downtown which was falsely named the widest road in the world (in actual fact is has the widest central reservation in the world!). In the middle of it lies the Three Powers Plaza, named because it is home to the three Government buildings: the National Congress, the Supreme Federal Court and the Palacio do Planalto (Presidential Office). The aeroplane’s curved wings are residential areas, in front of which you will find the Paranoa Lake, overlooked by the modernist architecture of the Palacio da Alvorada where the President resides. Of all the capital cities of South America, Brasilia seems to divide opinions the most, with some praising its utopian design and good quality of life, while others see it as a sterile ‘fantasy land’ in the middle of a region of poverty. Is it worth a visit? 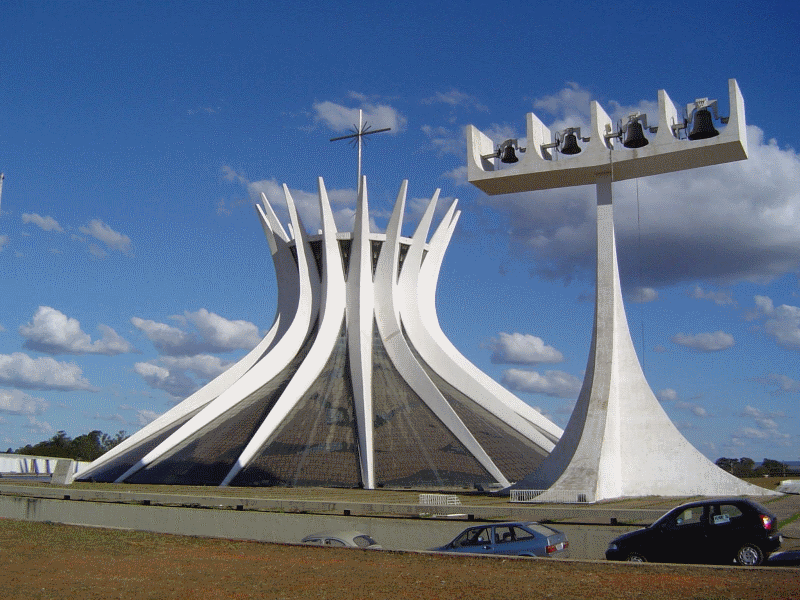 Probably not, unless you’re an architecture buff, however a lot of domestic flights pass through Brasilia so why not spend a night or two and make up your own mind? Hotel Pick – The Brasilia Palace was designed by Oscar Niemeyer in the same simplistic style as the rest of the city; a glass box from the outside, modern interior, and loads of light, open spaces. 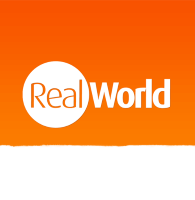 For a country that has always been quite conservative, Santiago is a surprisingly quirky, young and permissive capital city. On first glance it might not seem like there’s much to see, but there’s a lot of culture to be discovered under the surface. Although very modern and European there is still some fine colonial architecture to explore, and it’s this juxtaposition of old and new which really defines Chile’s capital. In the heart of the city, the remnants of a 15 million year old volcano rise out of the ground creating the Cerro Santa Lucia Park, filled with ornate fountains and castle facades, offering great views. Although worth a visit, there are better views to be had nearby, notably from the 1920’s funicular up San Cristobal Hill, where you will find the Chilean National Zoo. At the foot of the hill is the bohemian Bellavista neighbourhood with its multi-coloured bars and cafes, enjoyed by the younger generation, in particular backpackers and students. It makes for a fun evening people watching, and trying out your Spanish on the friendly locals! 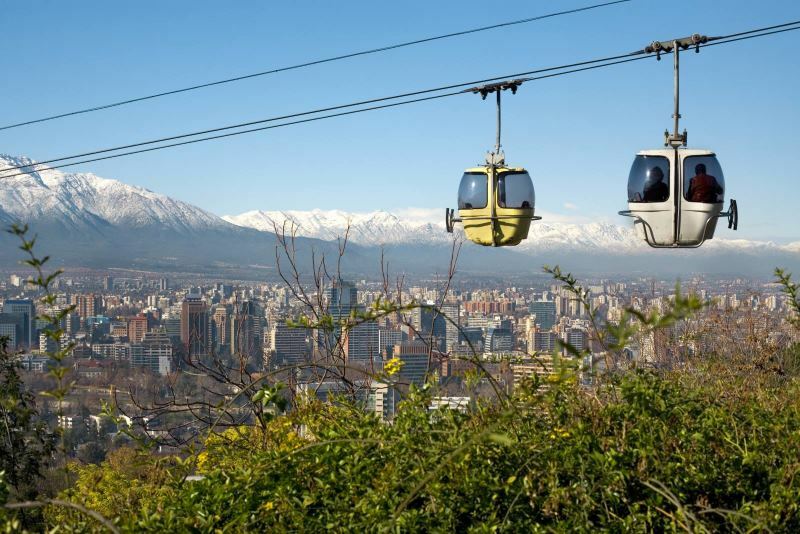 Surrounded by the Andes, Santiago offers the perfect location for nature lovers. For adrenaline junkies, Chile’s premium ski resort, Valle Nevado, nestles in the mountains just outside the centre. In summer, the chair lifts are used for other mountain sports such as horse riding and rock climbing. For those visitors who prefer a more relaxing holiday, a number of fantastic wineries are just a short drive North or South. We recommend the Aquitania where some of the first grape vines brought into the country were planted. Half or full day tours of the wine valley are possible from the city. Hotel Pick – The Loreto Hotel offers a taste of communal living whilst still giving you the privacy of your own room. Socialise with other guests in the many common areas or the rooftop terrace. Although not considered a highlight of Colombia, Bogota is nevertheless a friendly city with plenty to see. Another capital at altitude, this time slightly lower at 2600 metres, there are great views to be had from the top of the Monserrate Mountain, accessible by cable car from La Candelaria. This area is the cultural centre and is where the majority of visitors stay, so it’s a good base from which to explore the rest of the city. However there are plenty of interesting neighbourhoods to suit every type of traveller, from the boho district of Macarena to the modern international centre. With what feels like hundreds of museums, art galleries and theatres, there’s definitely a lot of culture to experience here! Most noteworthy is probably the Gold Museum, with its impressive collection of pre-Hispanic artefacts. But you don’t have to spend all your time walking around museums and galleries to soak up the culture of Bogota, as street art is extremely popular, so why not join a graffiti tour to ensure you don’t miss the best bits? Due to its altitude the city enjoys a year-round spring climate where flowers are constantly in bloom, and there’s no better way to appreciate this than with a trip to the Simon Bolivar Park, Northwest of the centre. Named ‘the lung’ of the city because of its sheer size, the park is known for its annual rock festival, as well as being home to a small amusement park, sports complex and boating lake, making it a lovely place to spend a sunny afternoon in Bogota. Hotel Pick – The Hotel Park 63 overlooks the park and has its own garden and terrace from which to enjoy the views. 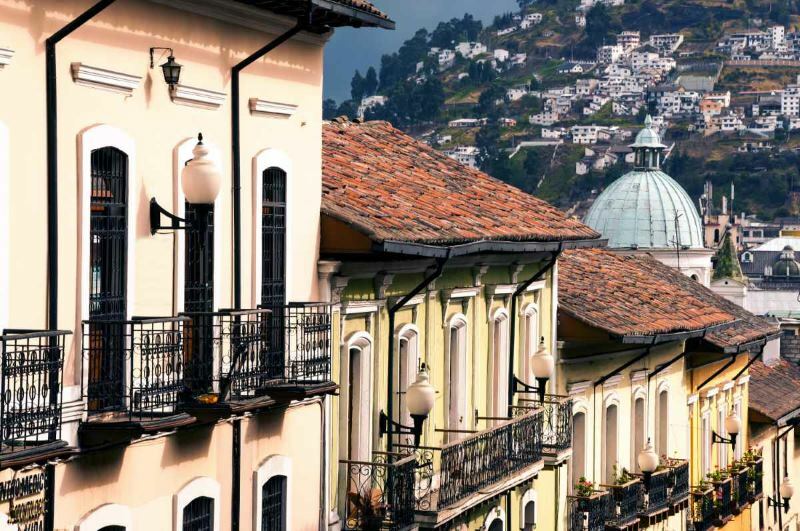 With the best-preserved historic centre of all the capital cities of South America, and the first to be named a UNESCO World Heritage Site back in 1978, Quito paints the perfect picture of what Colonial life would have been like in the past. Its setting is spectacular as well, situated at 2800 metres above sea level in the Andean Valley and surrounded by the peaks of the Pichincha volcano. The combination of characterful old town and cosmopolitan new town, and the lively cultural scene makes Quito a very interesting city to visit. Once acclimatised it’s worth taking a trip up the slopes of the volcano for stunning views, this can be done using the sky trams, on horseback or by foot if you’re feeling up to a trek in the high altitude! For those visitors who prefer more historical sites, the Plaza de Independencia is home to the oldest Cathedral in South America, dating back to the 16th Century. The Plaza is also the location of the Archbishop’s Palace and Government’s Palace, which, although newer, are still very grand, impressive buildings. In fact, on practically every cobbled street you’ll find beautiful churches and baroque architecture. Because you’ll probably never be this close to the equator again, it’s worth a day trip just for the photo! The Mitad del Mundo (Middle of the Earth) is a tourist complex built on the equator, although funnily enough it’s actually in the wrong place, as it was constructed before the invention of GPS. However just round the corner is the Intiñan museum, which is right on the equator, where there are live demonstrations proving that water does indeed go down the toilet in the opposite direction! Hotel Pick – Café Cultura Hotel offers a refreshing change from the traditional chain hotel, with plenty of character and a warm, homely feel. Probably the most up and coming of South America’s capital cities, Lima is only recently starting to appeal to travellers, who previously passed through purely out of necessity. Some of the best food in the world can be found here, so if you only visit for one reason make it this! Although the Western palate might not be accustomed to the cured fish used in the national dish, Ceviche, the popular spit-roasted chicken is definitely worth a try, especially when paired with the country’s famous Pisco Sour cocktail! When compared to the ancient Inca influences of the rest of the country, Lima seems very modern, however there is still plenty of beautiful Pre-Hispanic and Colonial architecture to be found. There is also a huge Chinese influence in the city, mainly due to immigration, and it is estimated that 70% of residents on the coast have some Asian ancestry, so if you’re still feeling hungry why not try the Peruvian-Chinese fusion called Chifa? 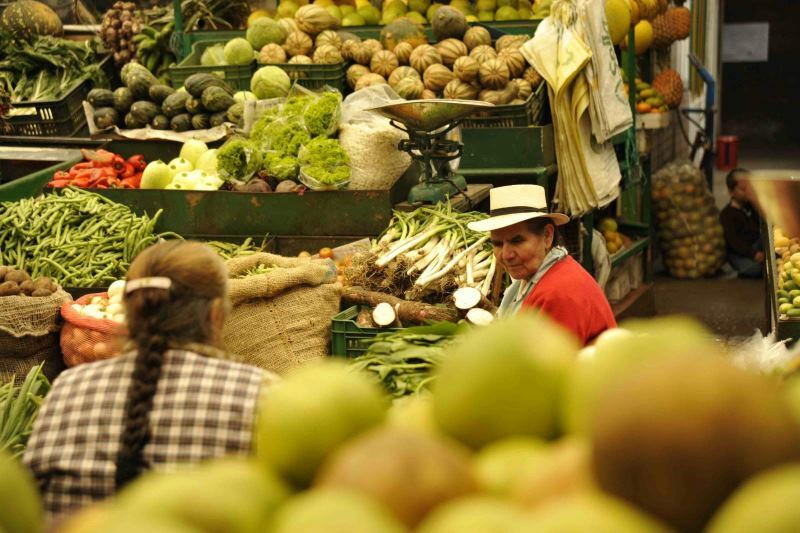 Don’t let us fool you into thinking that the only thing to do in Lima is eat! The historic centre is a good place to start exploring, as it features an interesting mix of Baroque and Art Nouveau buildings, including the impressive San Francisco Church, the 16th Century Archbishops Palace, and the House of Pizarro (Government Palace). For something really unique there is the Magic Water Tour (don’t be put off by the cheesy name!) in the Park of the Reserve. Currently the largest fountain complex in the world with 13 fountains, some with jets of over 80 metres high, and all of which light up at night in a colourful show. Hotel Pick – The Casa Andina Private Collection benefits from a great location in upmarket Miraflores, with a fabulous rooftop pool and luxurious rooms. Next post Oh, Beautiful Olinda!